FREE delivery to United Kingdom in 12 - 14 weeks. Inspired by rugs from long ago, this collection revisits the original essence, focusing on texture and usage through the kilim technique. 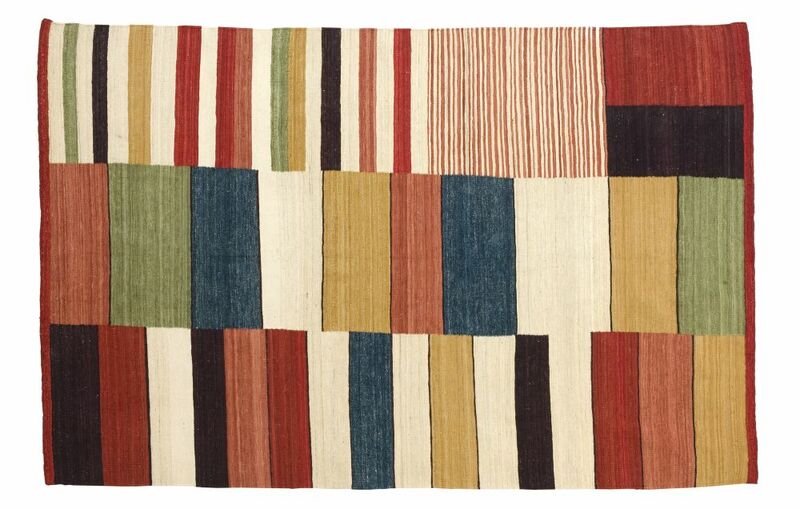 Originally, rugs were used to protect people from direct contact with the ground. Entire communities and families gathered on their rugs, which acted as a home, inherent in daily life, providing comfort. Over time, the rug has become a decorative element and a vehicle for cultural messages. The Medina collection represents the modern transformation of tradition. The classical aesthetic is achieved with handcrafted production in the north of Pakistan, using a very old and traditional technique: the kilim. True to herself and sensing the success her designs could reap, she created her own business in 1987 despite the difficulties of the times. The company’s second generation was incorporated in 2002, consolidating its growth and international expansion. True to her design roots, Nani Marquina launched her namesake brand in 1987, a time in which contemporary rugs were non-existent in Spain. After studying industrial design at the Escuela Massana of Barcelona and enjoying the success of her first bespoke textile designs, Nani launched nanimarquina, a brand dedicated to the design, creation, and distribution of rugs and textile products for the home, based on values such as observation, innovation, and enthusiasm, with the goal to use traditional craftsmanship and techniques to create contemporary pieces. In 1993, Nani Marquina embarked on a daring business venture: she moved manufacturing facilities to the north of India. The further incorporation of craftsmanship and tradition as a new design concept marked a clear difference, consolidating the brand. Throughout the years, the brand has garnered numerous awards such as the National Design Award and the Premi Cambra a la Gestió Empresarial (Chamber Award for Design Management) in 2005, as well as several nominations for the Príncipe Felipe Award for Company Excellence. Nani Marquina has also recently received the International Women’s Entrepreneurial Challenge Award from the Manhattan Chamber of Commerce, a personal achievement that led to the 2007 FIDEM Award for Entrepreneurial Woman of the Year. She has enjoyed tenure as the Chairwoman of ADP (Professional Design Association), and of Red (Reunión Empresas de Diseño). Starting in 2014, Nani Marquina is the President of the FAD, (Foment de les Arts i Disseny), in Barcelona. Driven by a singular desire and a very creative background, Nani established nanimarquina in 1987 with a clear goal: to design unique and surprising handcrafted rugs for people to enjoy.